Here you can fish in peace with your friends. The river is reserved just for you and there is no one else. We organize fishing trips around the world. 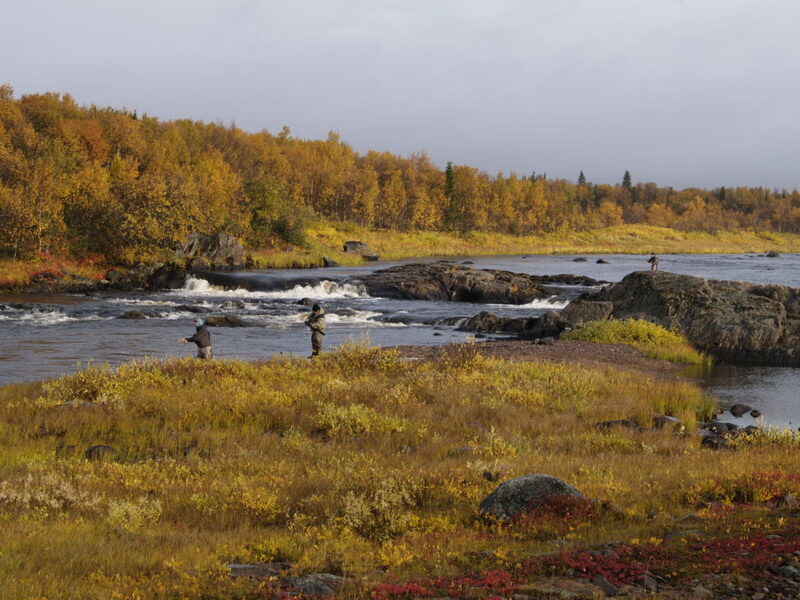 The package tours are tested by real fishers, pre-planned and guided. Trip organizing fee from 200€ / person. Package tour abroad price from 1200€ / person. Ask for other destinations, more information about places you have in mind or help on selecting a destination. 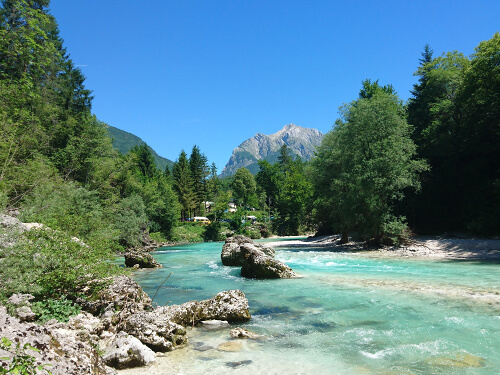 Slovenia is popular fishing destination among fly-fishers. Winding mountain roads and marvellous rivers are breathtaking experiences. Fish with your friends without anyone bothering you. 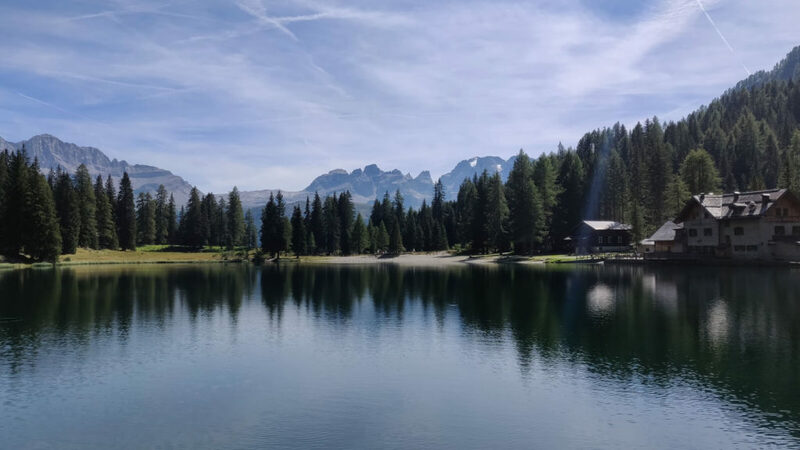 In Italy you can go fishing in a magnificent mountain lake. Finland – great scenery and clean lakes. Finland is famous for having thousands of lakes. 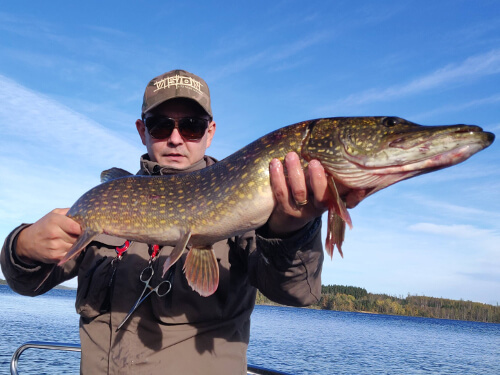 You can go fishing in stunning scenery for the biggest pikes you have ever seen. Day 1. Arrival at destination. Introduction to fishing and fishing techniques in the river next to the hotel. Day 3.-5 Guided fishing in the stunning scenery of Slovenia. Full board! You can just go fishing! Day 1. Arrival at Murmansk and meeting up with the guides. Day 2. Traveling to the fishing house. Day 3.-8. Guided fishing. Vechiles available for getting to the more difficult to reach places. Day 9. Return to Murmansk and fly back to Finland. Day 1. Arrival at destination, car hire and transfer to hotel.